Join Dominick of Electric Candle and Dave of Dave's Record Collection on Saturday, December 2, for a six hour celebration of what would have been Jimi Hendrix's 64th birthday. 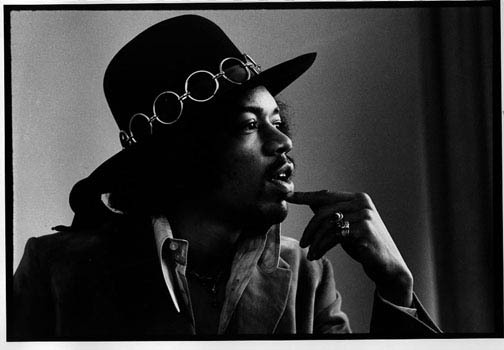 Tune in to hear Jimi's musicianship at its finest, from the popular to the rare and obscure, as well as interviews and masterful covers by a number of artists influenced by Hendrix's work. It's sure to be a sonic "experience" as only Jimi himself can dish out, so tune to 88.1FM or listen online beginning at 3:00 PM! "Turn on, tune in, and let us groove."